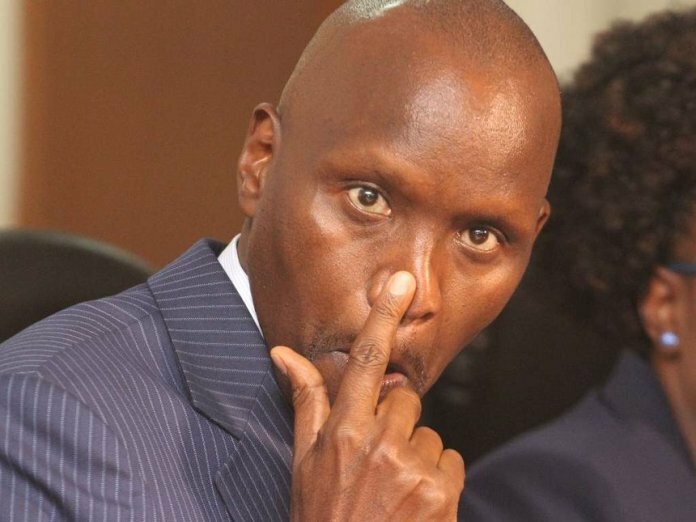 Kenya Pipeline Company (KPC) managing director Joe Sang on Tuesday morning handed in a letter indicating that he will not be seeking a second term due to personal reasons. Sang will leave the company in April, when his tenure will come to an end. “The Board received and accepted Mr Joe Sang’a letter stating that due to personal reasons he will not be seeking a second term as Managing Director,” the release reads in part. His decision comes after the board invited the DCI to probe the disappearance of more than 21 million litres of fuel, which are said to have either spilled or stolen. In a news release, the board further resolved that Oil Marketing Companies (OMCs) through their joint company, Supplycor Kenya will conduct a forensic audit of stock positions which will be done by December 31, 2018. Read: Is KPC Colluding With Oil Marketers To Sell Adulterated Fuel And Declare Losses? On November 28, board chairman John Ngumi attempted to fire the embattled MD. According to insider sources, Ngumi called for a meeting which saw some members keep off hence a quorum hitch. Those loyal to Sang told Kahawa Tungu that the chairman is manufacturing scandals and linking the MD to them so as to remove him as political allegiances takes centre stage. Sang is believed to be an ally of the Deputy President while John Ngumi is allied to the President and his associates. In an expose by Kahawa Tungu on November 26, a financial report indicated that the company had lost over 23 million liters of fuel estimated at Sh2.3 billion through ‘spillage to the ground’. Sources indicated that some of the board members did not buy into the narrative which prompted an urgent meeting with the management. The company’s top management, according to sources has formed a cartel that notoriously cooks books to overstate the amount of fuel lost, and illegally selling the ‘surplus’. It has been recorded that KPC under the watchful eye of Mr Sang has in the past 15 months lost over 11.46 litres of fuel in the last 15 months, through unscrupulous means. In another audit report by Chet Holdings, it was found that oil marketers may have colluded with unscrupulous Kenya Pipeline corporation (KPC) officials to sell water instead of fuel to unsuspecting Kenyans. An oil marketer stated that approximately 100,000 litres of water were loaded into the pipeline within five hours on May 1, allegations Sang vehemently denied. This year alone KPC has been rocked with scandals that have led to some of its employees to be sent on compulsory leave for loss of Ksh600 million.